Exchange Mailbox corruption generally occurs due to logical and physical issues that can affect the entire data. In Exchange environment, hundreds of user mailbox data can be saved, To find the corrupt mailbox stored in the Exchange database, a user can try Powershell command New-MailboxRepairReques to locate & Fix the damaged corrupt mailbox. a) Check Only: Some additional switches are not required to run IsInteg tool in this mode. It is also known as the Default mode. b) Check and Fix: It allows to detect or repair each error by giving the -fix switch. This command lets detect the Exchange mailbox corruption issue for a single user. This command is used to check all kind of corruption in Exchange Mailboxes that have CustomAttribute4 and recover them. This cmdlet first detects and, then provide a report on corruption issues in the provisioned folders, which are not pointing to parent folder in an absolute manner. It can also detect the search folder problems in user’s Mailbox. In any case, if users are not able to see the corruption in Exchange Mailbox, then they can opt this EVENTLOG Application to verify the Exchange Mailbox for corruption and find out all possible reasons behind that corruption. 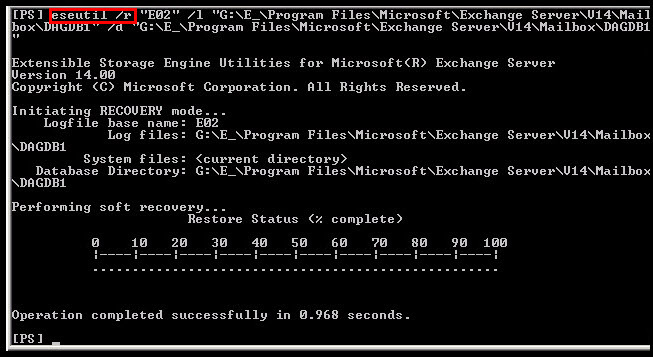 Eseutil.exe is an inbuilt utility used to restore Exchange database files. The storage path of a command line tool is C:\Program Files\Exchsrvr\Bin directory. It tells the organization of Exchange mailbox databases and also the data blocks. Further, it has the ability to restore, check and compress Exchange EDB files. It comprises the internal hierarchy of database, index, table, and record; but what if it does not recognize Exchange data, which are saved in tables and records of EDB file. 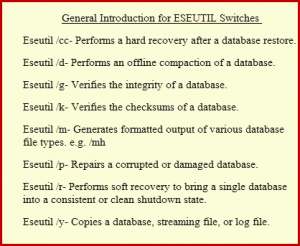 Since Eseuitl uses different switches and each command works on the different form of corruption. In simple terms, it can be specified as a database tool for database error. However, before using this Eseutil tool there are lots of things that have to be done. Explore some pre-requisites before using the Eseutil utility. 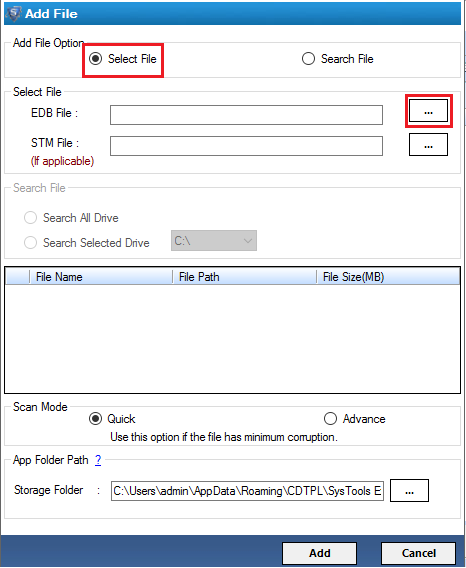 a) The running or inaccessible .edb file should be copied in a backup folder. b) The EDB database must be dismounted from Microsoft Exchange server. c) Disk space should be cleared by transferring undesirable files or folders into any portable device. d) The Hard disk should be checked for a bad sector with the help of CHKDSK utility. e) The Database should be dismounted from the Exchange environment. The reason is that Eseutil is the only functional on an offline EDB file. b) ESEUTIL / mh: This Command helps Exchange user to understand the status of file Exchange mailbox, whether file the is in Corrupted state or not. 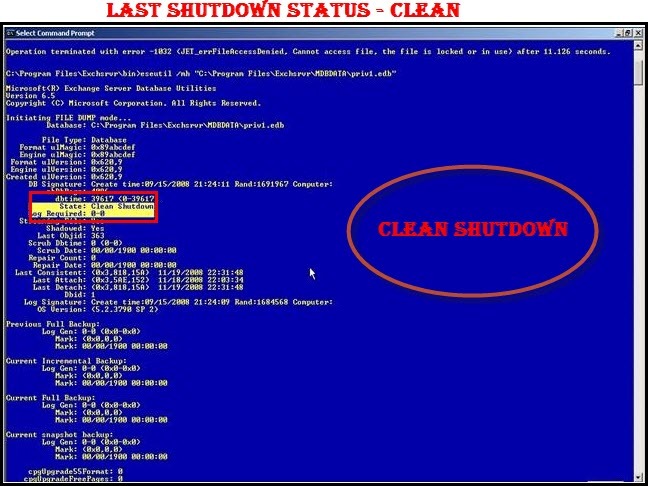 If the file is corrupted, then the status of the file is “Dirty State” and for a healthy mailbox, “Clean Shutdown” appear. Note: Any Interruption or error being reported while running this switch, the entire database will be left in an unusable state. 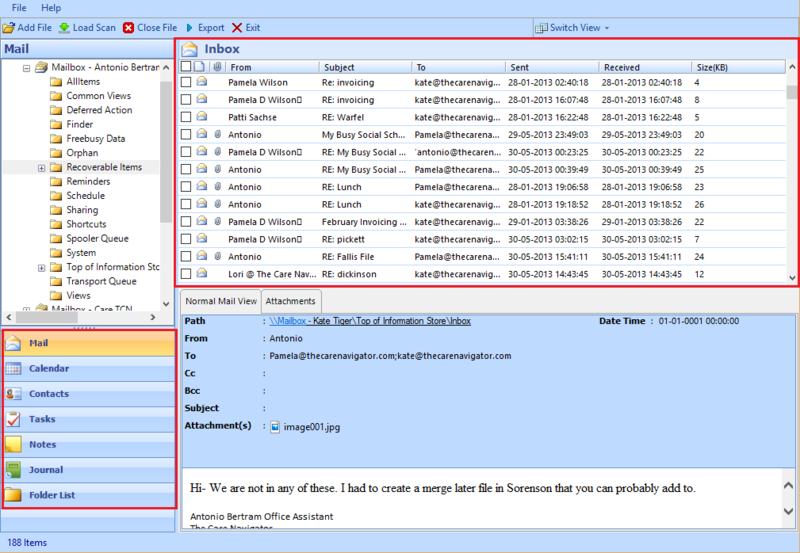 c) Preview the fix mailboxes items such as Mails, Contacts, Calendar, Tasks & Journal File Details. 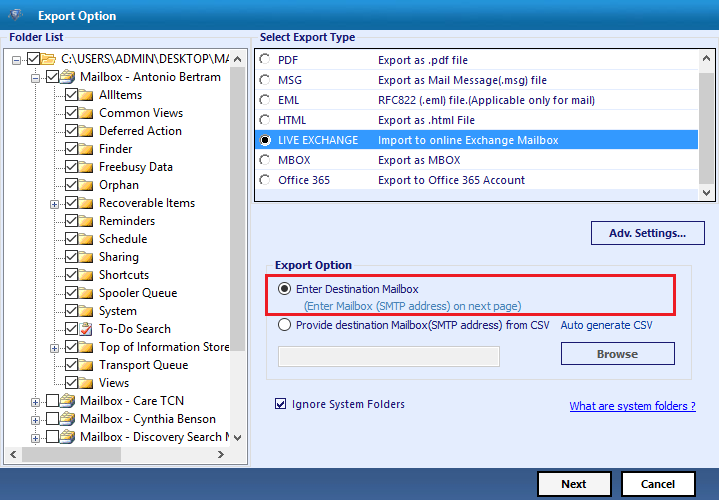 d) Save the Repaired & Fixed Corrupted Mailboxes EDB File into Desired Live Exchange Environment. 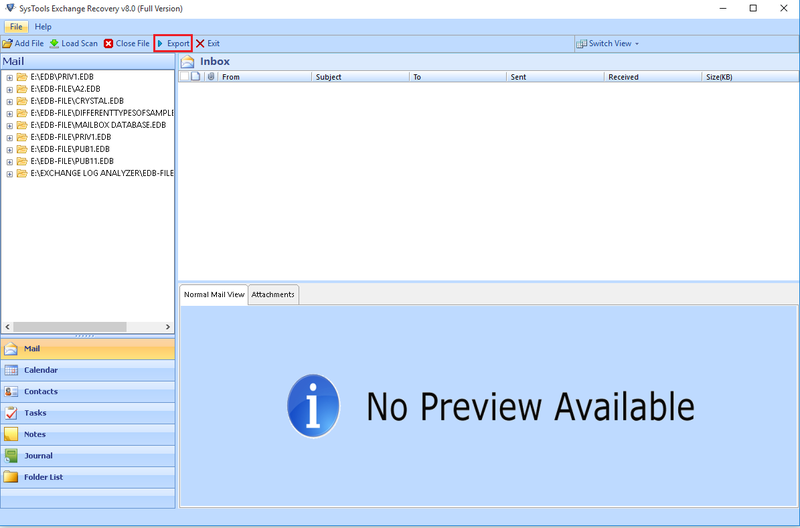 Sometimes, MS Exchange users might face various issues with EDB database files. Due to this, EDB files become corrupt and it affects the entire data. Henceforth, it is important to fix such problems related to Exchange server. Therefore, in this blog, we have discussed two manual approaches by using which users can easily resolve the Exchange 2010 mailbox corruption issue. However, it is highly recommended to opt for an instant solution namely Exchange Recovery to repair corrupted Exchange database mailboxes in a trouble-free manner.